Section 2x1 mm Max. Outside diameter 6,3 mm Rated voltage 4.. Section 2x1,5 mm Max. 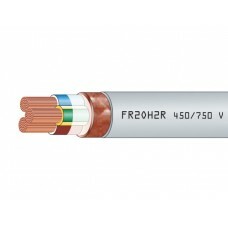 Outside diameter 7,5 mm Rated voltage .. Section 2x2,5 mm Max. Outside diameter 8,9 mm Rated voltage .. Section 3x1 mm Max. Outside diameter 6,7 mm Rated voltage 4.. Section 3x1,5 mm Max. Outside diameter 8 mm Rated voltage 4.. Section 3x2,5 mm Max. Outside diameter 9,5 mm Rated voltage .. Section 3x4 mm Max. Outside diameter 12 mm Rated voltage 45.. Section 4x1 mm Max. Outside diameter 7,3 mm Rated voltage 4.. Section 4x1,5 mm Max. Outside diameter 8,7 mm Rated voltage .. Section 4x2,5 mm Max. Outside diameter 10,4 mm Rated voltage&nbs.. Section 4x4 mm Max. Outside diameter 13,2 mm Rated voltage .. Section 4x6 mm Max. Outside diameter 15 mm Rated voltage 45..